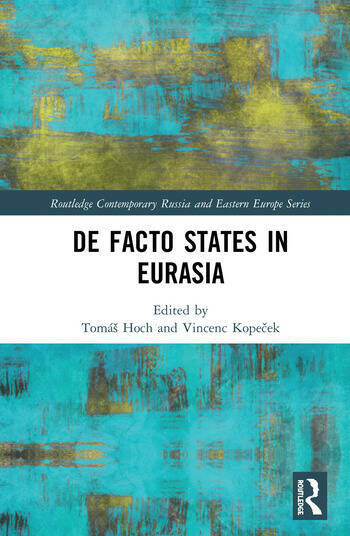 This book explores the phenomenon of de facto states in Eurasia, states such as, for example, Abkhazia, Nagorno-Karabakh and the Transnistrian Moldovan Republic. It examines how they are formed, what sustains them and how their differing development trajectories have unfolded. It argues that most of these de facto states have been formed with either direct or indirect support from Russia, but that they all have their own internal logic and are not simply puppets in the hands of a powerful patron. The book both provides detailed case studies and draws out general patterns, and in addition compares present day de facto states with de facto states which existed in the past. Tomáš Hoch and Vincenc Kopecek are Assistant Professors in the Department of Human Geography and Regional Development at Ostrava University, Czechia.